There just seemed to be no direct and easy answer. Every time I thought I had it, I would see some little side note somewhere that made me think that we needed to take a HAM radio course and get Technician and General licenses before we could legally use our SSB. In the end… here is how it went for us. First, let me advise that if you plan on cruising in international waters and using a DSC (digital select calling) enabled VHF radio along with SSB (single sideband)… do NOT apply for the free MMSI number from Boat US or any entity other than the FCC. We were advised to obtain the free MMSI by multiple people when we got our VHF… and we are now packing it up and sending it to the factory to have our NEW MMSI number programmed into it in order to use the DSC capability with our new MMSI number. We found several websites helpful in getting a straight answer about the process. Here is a web document provided by Waypoints that I found simple and direct. Go to the FCC website and register for your FRN. They require very basic information. Your FRN is your personal identification number under which you will obtain all FCC licenses. It is free of charge. Once you have your FRN, go to the License Manager page of the FCC website and log in using your FRN and password. You will then be able to apply for a new license by picking the appropriate one from a drop down box. You will need a Ship Radio Station License in order to operate your SSB radio internationally. If your vessel is considered "voluntary" or recreational, you should choose license type "SA". There is a listing of all of the available licenses with explanations for each on the FCC Wireless Services page. During this process we applied for a "regular" license, a radio call sign and a new FCC MMSI number all at the same time. Submit your application. You will then be given the opportunity to pay the $160 fee online for this 10 year license. Next, you will need to apply for your Restricted Radiotelephone Operator's Permit (RR). You choose RR from the dropdown box in License Manager and answer a couple of simple questions. Submit and pay. The cost was $60 when I did mine. This permit is for life with no expiration. The Ship's Radio Station License comes in a few days, as does the Restricted Radiotelephone Operator's permit. Once you receive them, you should update your VHF (if DSC enabled) and your EPIRB. It's probably a good time to make sure that your information is current with NOAA as well. They will need your Call Sign and your new MMSI number. You will need to cancel your FREE MMSI number obtained through any other entity as it will no longer be valid. If you got it through Boat US you can cancel it here by logging in with your ID and password and a few clicks. Complete the simple online form and submit. Now, about those TESTS! It is a good idea to educate yourself about using the SSB. This is especially true as you have just certified to the FCC that you will use the SSB radio according to their rules! You should at least know what they are, right? We bought this cute little book Called The Sailor's Quickstart Guide to SSB. You can get it from many sources, I think we got ours from EBAY. Anyway, this book is a nice introduction and takes some of the mystery out of the SSB. Next... we are taking HAM radio courses to get our Tecnician and General licenses. We don't have to, but we're doing it anyway. Our friends at BYC were kind enough to arrange for instructors to come to the club for study sessions. When we finish those, they will give us the tests required to certify us. The most important thing we are getting from them is information. These are just a few of the steps along the way to Cruising for us. We're almost THERE! Please comment if we missed something or if you have information to share. We love hearing from you! Update: September 8, 2013 We have obtained our Technical and General Ham Licenses with many thanks to the BYC folks for hosting study sessions and providing a testing venue. And an even bigger thanks to Jonathan Cooper and Albert DeMeulle, and the VECs from South Texas Amateur Radio Club for providing the study course and proctoring our tests. You can easily prepare for all three test levels by signing up on QRZ's free website. 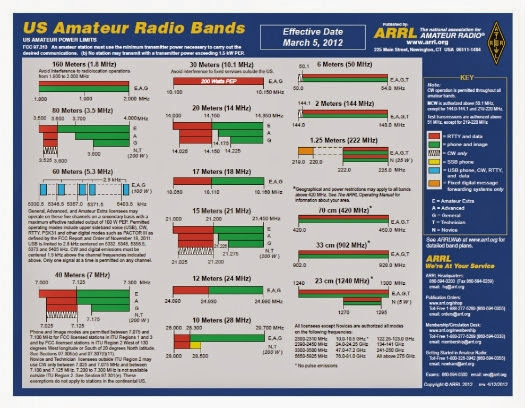 Under "resources" choose Practice Amateur Radio Exams" and take the random practice tests over and over until you can consistently pass. You can also practice particular sections where help is especially needed. There are marine bands that do not require any license to use. However, getting these operator licenses (which are renewed every 10 years) will give you a wealth of background information (though not all pertains to the SSB application) and will open up a broad spectrum of bands to you for communication. Who knows... it may even become a new hobby! GOOD LUCK! Once you get the HAM licenses, depending on the brand and model of your SSB, you might need to have the SSB unlocked to allow you to use the additional frequencies available to HAM license holders. Those are the frequencies that you will most often want to use anyway. FWIW, I am surprised to learn that you now must pay for the Ship's Radio License. It was free when we obtained ours in 2006. Good to know. We will check out the available frequencies on our SSB for sure. The boat was cruised extensively prior to our purchasing her but I don't know what the previous owner had for licensing. On the way home from Rhode Island, one of our BYC friends joined Bruce for the Gulf of Mexico leg. He was able to use the radio (he has his license) while they traveled with no problems noted. Maybe we'll be lucky and it's already been done. Almost more important than getting the licenses is having some hands-on training in USING the radios . . . especially if you're going to use email over either SSB or Ham. An hour with the experienced guy on the boat next to ours did more than all the reading I'd done up to that point. And if the Ham test now is like it was when I took it, it has zero practical information in it -- but you have to learn it and get the license. There were a bunch of free online practice tests you can use, too. Can't remember the sites, unfortunately. Excellent advice Carolyn! We have some friends here to help us along but we were really hoping that once we join the Cruiser Crowd in Florida, we can find some helpful people who will get us going. At this point, it's all still a mystery. The class we are taking is making it start to make sense.